Born in Tokyo, Japan. Graduated from the Architectural Design program of the School of Art and Design at the University of Tsukuba in 2001. Completed a masterʼs degree in architecture at the Graduate School of Fine Arts at the Tokyo University of the Arts in 2003. Worked at Kijo Rokkaku Architect & Associates (Rokkaku Atelier) from 2003 to 2005. Established Miru Atelier within Rokkaku Atelier in 2005. Enrolled in the doctoral program of the Institute of Industrial Science at the University of Tokyo (UTokyo) from 2005 to 2010. 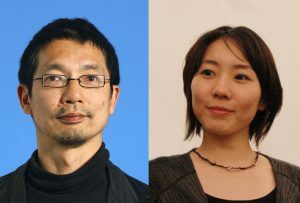 Educational research assistant in the Department of Architecture at the Tokyo University of the Arts from 2006 to 2009. Completed a doctorate in architecture at the Institute of Industrial Science at UTokyo in 2014. Specially appointed assistant professor in the Research Center for Advanced Science and Technology at UTokyo from 2015 to 2017. Specially appointed assistant professor in the Institute of Industrial Science at UTokyo since 2017.